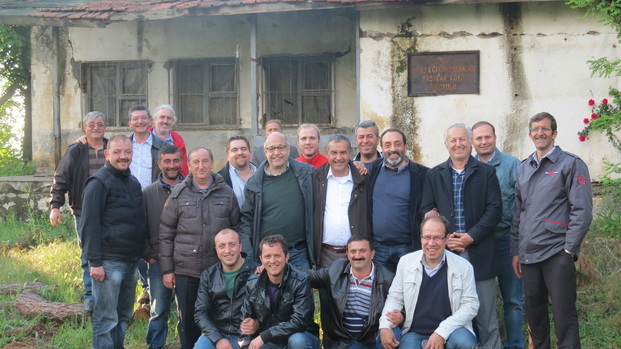 Currently, the farmer group comprises more than 50 members from Paşalar. They cultivate conventional and also hazelnuts certified according to EU organic, Bio Suisse and UTZ Standards. The success of the project is credited to the farmers, who have ownership and take full responsibility of it. Also, the local government and village elders are heavily involved in the project since the beginning. Not only did they provide land for the accomodation building but also ensured the implementation of the «Happy Hazelnut Project» Standards in the village and continue to give their support in the project maintainance and development. The farmers are trained on the «Happy Hazelnut Project» Standards two to three times a year by the project manager on the ground in Turkey.